United Nations carving featuring the heads of men originating from Europe, Asia, Africa, North America and Australia. 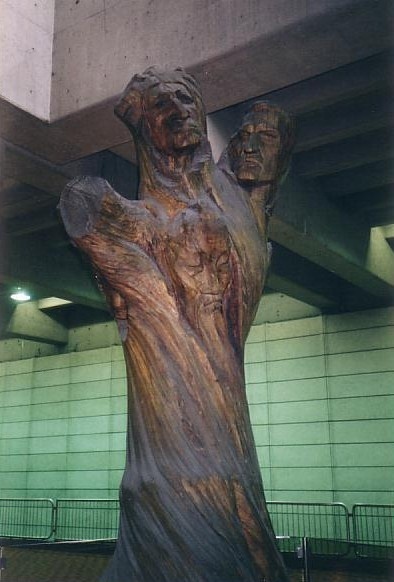 During Expo, this large carving stood in front of the United Nations pavilion. Now it stands inside the Lionel-Groulx métro station, a station which was not built until more than a decade after Expo.